In the past year the international community has become more and more aware of the conditions of Islamic Regime Prisons and the treatment of political prisoners in Iran. What the international community has seen in the past year is only the tip of the iceberg, of what freedom loving Iranian political prisoners have been subjected to for the past 31 years. Many political prisoners are at the notorious Evin Prison in pre-trial custody with no set date for trials and no idea what the future holds. They are tortured, interrogated, raped and put in solitary cells in section 209 of the Evin Prison. In Gohardasht Prison there is no clean water available for prisoners, and they are forced to drink, cook and wash with polluted water, which has led to numerous health problems among the prisoners. In Kerman Prison political prisoners are held among prisoners who have been convicted of serious criminal offences and they are at constant danger. In Sanandaj Prison where mostly Kurdish political prisoners are held in custody, the prison conditions are unbearable. There are also hundreds of other prisons in Iran some official, some secret prisons and detention centres where political prisoners are beaten, electrocuted, raped, lashed and tortured in unspeakable ways. Recently political prisoners in Evin Prison started a hunger strike to protest against the prison conditions and the treatment of political prisoners. 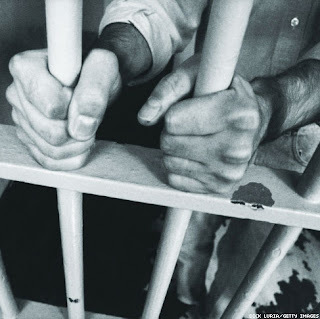 Prisoners in Gohardasht Prison have also started a hunger strike to protest the treatment of political prisoners. A group of activists in Koln, Germany have decided to show their support and solidarity with the Iranian political prisoners by staging a human chain on May 3rd 2010 in Koln, Germany,at 7pm and to display the names and pictures of political prisoners in Iran, to bring attention to the dire situation of human rights situation and the situation of political prisoners in Iran. These activists have called for international support for political prisoners in Iran and have called on activists in Europe and North America to stage similar human chains in major cities in these countries. This event is also tentatively scheduled to take place in Berlin, Hannover, Hamburg, Copenhagen and Stockholm. Below are names of some of the political prisoners currently in Islamic Regime prisons. We must also keep in mind the fact that for every individual named there are thousands whose names we do not know and may never find out, therefore the best way to help all political prisoners in Iran is to strive for Regime change. Mr. Ali Saremi, Mr. Mansour Radpour, Mr. Ali Mansouri, Mr. Sadegh Kohand, Mr. Saeed Masouri, Mr. Hod Yazarlou, Mr. Misagh Yazdan-Nejad, Mr. Ali Moezi, Mr. Afshin Beymani, Mr. Reza Joshan, Mr. Karim Merfazez, Mr. Mehdi Fetrat,Mr. Mansour Osanlou, Mr. Arjang Davoudi, Mr. Alireza Karimi Kheyrabadi, Mr. Behrouz Javid Tehrani, Ms. Kobra Banazadeh,Ms. Zahra Joshan, Mr. Naser Yousefi, Mr. Hashem Shahin Niya, Mr. Saeed Sahghalei, Mr. Khaled Hardani, Mr. Farhang Pourmansouri, Mr. Shahram pour mansouri, Mr. Masoud Basta, Mr. Ahmad Zeydabadi, Mr. Habibollah Latifi, Mr. Shirkoh Moarefi, Ms. Zeynab Jalaliyan, Mr.Jalal Mohammadi, Mr. Sami Hosseini, Mr. Rostam Arkiya, Mr. Rashid Akhkandi, Mr. Mostafa Salimi, Mr. Iraj Mohammadi, Mr. Mohammad Amin Agushi, Mr. Ali Heydariyan... and thousands of other political prisoners. Cities that will be joining the human chain for solidarity with the Iranian political prisoners. Please let me know if you are planning to organize one in your city. We, a group of Iranian pro-democracy and human rights activists are writing to you to voice our concern and disappointment in your decision to invite Ms. Shirin Ebadi to speak in Toronto on April 26th 2010. As Iranians who are working towards a secular and democratic Iran, along with our compatriots in Iran we are concerned that you have made the decision to invite a pro-reformist speaker who does not represent the will or the demands of the Iranian people to speak at your event. In October of 2009 during a speech at Denver, Ms. Ebadi openly claimed that Iranian society was not ready for secularism. At such a sensitive and important time in Iranian history, when people have made their demands for a secular and democratic Iran so clear, Ms. Ebadi has made a concise choice to stand with the Reformist faction of the Islamic Regime, and against the Iranian people by claiming that Iranian society is not ready for secularism. Ms. Ebadi is an open supporter of reform instead of a new regime—an approach sustaining an Islamic government and the current Islamic regime that is responsible for 31 years of tyranny, massacre, chain killings, utter terror, democratic fraud and returning such barbaric methods of treating women and minorities such as open stoning and execution. Ms. Ebadi’s advocacy of mixing Islam with politics and her advocacy of the current Islamic regime are an affront to human rights, peace, and freedom in Iran and the world. It is also an affront to democracy as the Iranian people and minorities have demanded equality, transparency, and participation in their own affairs rather than live under Islamic rules. It is a shame and disappointment to see the Canadian International Peace Project side with values such as war, inequality and human rights abuse rather than secularism, democracy and human rights. The Islamic regime’s use of religion, technology, weaponry, and indoctrination to imprison and terrorize its people does not need any outside help. We hope that the Canadian International Peace Project will be more selective in its’ choice of speakers in the future, and that it will choose to stand with the Iranian People rather than with the Islamic Regime and its advocates. Thank you for your note. I am quite busy at the moment so I will be brief in my response. 1. Contrary to your assertion, the Canadian International Peace Project did not Invite Dr. Ebadi to Canada. Dr. Ebadi was already sheduled for a national tour of Canada that includes Vancouver, Toronto and Ottawa when we were asked if we wish to host her in Toronto. We accepted the invitation not on the basis that she is an Iranian national and activist but rather because she is an internationallly recognized persona whom our constituents would be interested in hearing from given her prominence including being the first Muslim woman to be awarded a nobel prize. 2. While in Vancouver she has been invited to address the British Columbia Court of Appeal in addition to other appearances. 3. In Ottawa, she is will be recognized by the Speaker of the House when she attends question period in Parliament and a Speaker's reception is planned for her. She is scheduled to meet with a number of cabinet ministers, parlimentarians and senior officials. Furthermore, a panel discussion is planned in Ottawa at which the most prominent legal expert from the Canadian Iranian community ( who is a legal scholar and an internationally recognized personality on human rights) is scheduled to be a panelist. You should not expect him to react kindly if he receives a similar note from you. 4. The Canadian International Peace Project is an independent non-partisan organization that that promotes Canadian values, bridge building and social cohesion especially with communities in conflict. We are not a human rights organization. We do not as a policy, critize any government. Our members and supporters come from a very wide spectrum of opinions. Among the Canadian values we encourage are pluralism, democracy and freedom of expression. According we do not necessarily agree nor disagree with Dr. Ebadi statements and positions and, as with other speakers that we have had and will have in the future, we do not expect a "consensus of acceptability". Infact, we are interested in hearing from Dr. Ebadi not on human rights in Iran but more generally on peace, security and building bridges between communities given that we have a broad consituency that goes well beyond those that are merely or primarily interested in Iran. As a Canadian trained lawyer, you should be able to understand these distinctions. 5. One of the benefits of living in Canada, which I consider the best country in the world to live in, is that people from diaspora communities are encouraged and expected to embrace Canadian values. While community and human rights activists must be supported in their right to voice their opinions on domestic and international issues, such activism should not be used to bully or silence others. Furthermore, many Canadians fled their countries of origin to escape such bullying and silencing that invariably ferments civil and political unrest. Accordingly, it is imperative that we do not import foreign conflicts into our communities and indeed resist those that try to. Our obligation to our great country requires that, first and foremost, we adhere to and promote Canadian values. The hosting of Dr. Shirin Ebadi by the Canadian International Peace Project in Toronto is entirely consistent with these values. Mark M. Persaud, LL.B., LL.M. According to news received from confidential sources the water at Rajaishahr Prison has been cut off for the past three (3) days. Prior to that the water used for washing, drinking and cooking was not clean water, but contaminated water, as a result any food cooked with that water was also contaminated. As a result many prisoners are suffering from infections and other diseases. At a time like this when the prison clinic should be caring for the prisoners, instead they have refused to give any medications to prisoners for treatment. I will update as I receive further news. I just came back from watching the play “Beneath the Veil” by Mary Apick, which I left feeling disturbed and very confused. From reading reviews about the play and Ms. Apicks work I was expecting a play which portrayed the oppression of women by the Islamic Regime and other Islamic Countries. The play focused on three individuals and their stories. The first individual was Zahra Kazemi, an Iranian/Canadian journalist who was arrested while taking pictures of the Evin Prison and was murdered by the Islamic Regime. The second individual was a young 16 years old Iranian girl who committed suicide after being humiliated in school and having her hair cut off, because she was in possession of Michael Jackson pictures. The last character was a Saudi Arabian woman who had a very rich husband, and had everything imaginable, but did not have her freedom. Her husband had four wives and many lovers, which had led her to take on a lover. During the play she pointed out that if it were found out that she was having an affair she would be stoned to death. What disturbed and confused me was the second part of the play. At some point one of the actresses who was playing the role of the 16 year old Melody came on stage and made a speech about how she grew up in the US and had freely decided to cover her hair with the hejab. What is important to keep in mind is the fact that while one woman in 100’s or even 1000’s maybe able to make her own decision about wearing the hejab or even the Burka, there are 1000’s more women who do not have that choice. Islam does not give that freedom of choice to women; neither do their religious fathers, brothers or husbands. Women in Iran do not have the choice to wear what they choose, they must wear the hejab or face imprisonment, fines, beatings and flogging, because they live in an Islamic Country. The part that was most disturbing to me was the bit which I saw as the attack on the new law which was passed in Quebec recently, which requires that women who are working for the government or receiving any type of government service must reveal their face and can’t hide it behind a burka. The play portrayed a young woman with a burka covering her entire face and body trying to take a picture for her licence and she wasn’t allowed to do so. The young woman calls her lawyer and then states that she will be suing the government. As a Canadian/Iranian I was very much offended and very confused as I could not figure out how this was related to “Beneath the Veil”. Number of other people felt the same way as I did and some walked out of the theatre in the middle of the play. I was tempted to do the same but I wanted to watch it to the end so that I could write about it. I would personally give this play a 4 out of 10 only because it was dedicated to Zahra Kazemi, but I would not attend this play or any other play but Ms. Apick again as I felt the advertisement and interviews leading up to it was extremely misleading. Last but not least as many may be aware the mouth piece for the Islamic Regime (disguised as a human rights activist) Shirin Ebadi will be in Toronto on April 26th for a special event, and tonight’s play was full of advertisement for Shirin Ebadi, which speaks for itself. I won’t be getting into that issue here as I will write something else about Ms. Ebadi, but sufficient to say Ms. Ebadi has stated on numerous occasions that Iranians are not ready for a secular Iran and is an open promoter of reform rather than Regime Change. All in all an extremely disappointing evening, I would not do it again. Mr. Javid Tehrani is the only remaining prisoner from the 18 Tir (July 9th 1999) pro-democracy student demonstrations. Mr. Javid Tehrani started his hunger strike 7 days ago because of the extension of his solitary confinement sentence, as well as the brutal physical and psychological torture he has been subjected to. According to this news report Mr. Javid Tehrani’s health is currently in a very poor state due torture and his hunger strike. The Warden of Gohardasht (Rajaiishahr) Prison Ali Mohammadi has extended Mr. Javid Tehrani’s solitary sentence for a second time to a further 15 days. According to this news report Mr. Javid Tehrani has been transferred to one of the worst solitary cells in prison and is being subjected to brutal torture by Mohsen Khalesi and Mohsen Bandad. 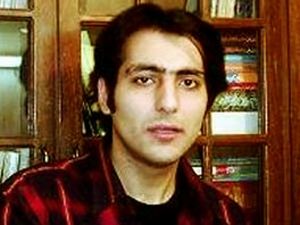 Besides Mr. Javid Tehrani three other prisoners are also in the solitary cells and are also on hunger strike. These prisoners are Mr. Reza Jalali, Mr. Hossein Karimi and Mr. Mohammad Rezayi. 2. The quality of food is much lower then other parts of the prison and prisoners are only given enough food to survive. 3. Prisoners are tortured with electrical and other types of baton’s on a regular basis. 4. Prisoners are handcuffed and their feet are cuffed as well while in their cells. Human Rights and Democracy Activists in Iran warn of the serious danger Mr. Javid Tehrani may be facing and urge all human rights groups and organizations and all freedom loving people to break the silence and to help save Mr. Javid Tehrani’s life. This is a very interesting news article I came across today. It's very similar to what I have been saying about the bursary students in Canadian Universities especially Carleton, Ottawa, Toronto, York and Waterloo Universities. The purpose of these students is to spy on activists and opposition abroad. There is a reason why while some students are expelled from university, some are imprisoned and some aren't even allowed to register because of their faith, these students are granted a free education in a foreign country. This education comes with a price tag; the price is to work for the Islamic Regime abroad by spying on the opposition, intimidating and threatening them, even if it is done anonymously. In this case however it is not a very heavy price tag since these students already support the Regime, and carrying out Regime’s propaganda is more of a hobby rather than something they are forced to do. One must keep in mind the fact that in order to be given a bursary by the Regime the student and his/her family must have an impeccable history of loyalty to the Islamic Regime. That is the only way they will be granted a bursary, so it’s no wonder they come into Canadian Universities and raise the flag of the Islamic Regime a symbol of oppression and hatred, to further the Islamic Regime propaganda. Enough said about this topic, please take a look at this article, I am sure you will find it as interesting as I did. According to this news report by Iranian Kurdish News Agency, a number of Iranian social and political activists in the city of Erbil and Suleymaniye in Iraq have been subjected to intimidating emails by Regime security forces. As well there are reports of these individuals being followed by Islamic Regime security forces. According to this news report one of these activists who has a history of arrest by the Regime in Iran has received a threatening email from an official linked to the Ministry of Intelligence in Iran which states that if he does not return to Iran his family who resides in Iran will be “put under pressure.” This individual also believes that he is being followed by Regime agents and this has caused him great concern for his safety. According to a number of other social and human rights activists they have also been followed by security forces linked to the Islamic Regime consulate in the city of Suleymaniye in Iraq and as well they have been receiving threatening emails. نیروهای امنیتی وابسته به سپاه پاسداران و اداره اطلاعات رژیم برای سرکوب مخالفان در خارج از کشور مخصوصا در کشورهای همسایه ایران فعالان را زیر فشار گذاشته و همچنین با تهدید آنان سعی در باز گرداندن و بازداشت آنان را دارند. بنا بر گذارشهای رسیده چندیدن تن از فعالان مدنی و سیاسی که در کردستان عراق بسر میبرند از طرف نیروهای امنیتی رژیم و کنسولگری ایران در اربیل و سلیمانیه تهدید میشوند و تحت تعقیب و کنترل قرار میگیرند و این امر باعث ترس و نگرانی این فعالین در خارج از ایران شده است. بنا بر گفته یکی از این فعالین، که قبلا توسط اداره اطلاعات بازداشت شده بود، یکی از عوامل اداره اطلاعات طی یک ایمیل وی را تهدید نموده است که در صورت باز نگشتن به ایران خانواده این فعال را در ایران زیر فشار قرار میدهند. "ایمیل تهدید آمیز اداره اطلاعات و نام مامور بعلت مسائل امنیتی این فعال مدنی محفوظ میباشد." بنا بر گزارش دیگری که بدست رسیده است چند تن دیگر از فعالین مدنی و حقوق بشر دیگر نیز از سوی نیروهای وابسته به کنسولگری ایران در اربیل و سلیمانیه تحت تعقیب و کنترل قرار گرفته اند و این فعالین میگویند که ایمیل های آنان از طرف ایران کنترل میشود. این امر باعث نگرانی فعالین و روزنامه نگاران و نیروهای اپوزیسیون ایرانی در کردستان عراق شده است شده است.